Seller motivated, bring offer! 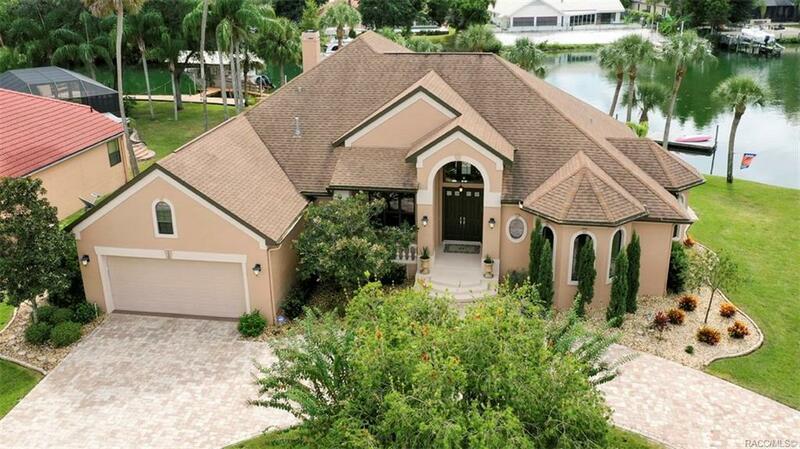 Luxurious living with spectacular views of the Crystal River & King's Bay. This contemporary style home is situated on a natural spring fed lagoon with direct access to Gulf of Mexico &NO BRIDGES. The owners completely updated this home in 2014 and from the moment you pull in the driveway you will be amazed with the professionally landscape yard & brick paved driveway. As you enter the home you will fall in love with the vaulted trey ceilings, sliding doors opening to the lanai offering a perfect place to watch the manatees play. Gourmet Kitchen with stainless appliances. The master suite is just as stunning as the rest of the home, as you walk into the bathroom you will feel as you are in a spa with freestanding tub and walk in shower, his & her walk in closets. Outside you can sit under the pergola and enjoy the gas firepit. Never flooded, generator, 8000# boat lift, Trex wood decking, new AC's. Directions: From Hwy 19 Turn Right/West On Kings Bay Dr To Right On SW 1st Pl To Right On SW 1st Ave. Home On Left At End Of Street.